Ok, I’m starting to push it with these New Year titles. This is the last one, I promise. But what a treat! For me, at least. Because I’ve finally got a new iPhone – one of the sparkly white ones – with 32Gb1. So I can put all the new music that’s coming out onto it without removing a whole bunch of old stuff2. Huzzah! 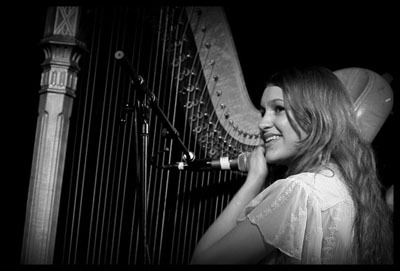 As a celebration of this momentous event, I put a live recording of Joanna Newsom from earlier this month, from those lovely folks at Fan Made Recordings. Considering it’s recorded from the audience (rather than the mixing desk), the quality is decent as can be expected. And it has to be said too, it’s not particularly easy listening to new material from an artist quite as complex as Ms Newsom, as it takes time to seep properly into your brain. All worth a listen though. You can download the whole set from the link above, in preparation for the triple album (Triple!) out next month. Go on, have a listen. It’ll get your brain prepared for the real thing. 1 I was waiting to see if a new iPhone would be announced at the same time as the iSanitaryTowel, but it wasn’t. I reckon a new iPhone will be out in the summer, with that there A4 chip. And what’s all this immediate backlash about the iPad? I might get me one of those, especially if I can get a Bluetooth audio connector thing so I can play music in the kitchen from it whilst lying on the sofa surfing the web. Honestly, people these days want everything handed to them on a plate (or tablet); getting themselves so worked up about what they wanted from it that when Steve Jobs announced an iTouchOnSteroids, everyone’s upset. Seriously, get over yourselves. It’ll be nice to use. It’ll look good. It won’t crash (much). You’ll enjoy using it. The end. 2 It really hacks me off when I’m on the tube and I want to hear an old favourite – say, “Yankee Hotel Foxtrot”, but I can’t, because I’ve taken it off to make room for Yeasayer’s new one. Which happened just the other day. And precipitated this existential crisis.